These terms and conditions of usage are applicable as of May 17, 2018. You must be at least 18 years of age to use kinkship. These terms and conditions of usage concern your legal rights and obligations. Should you not be able to accept being obliged to comply with every one of these terms and conditions of usage, do not access or use this service. You will acquire membership free of charge with your initial registration on kinkship. You have the option to enhance your free membership by purchasing add-ons for your profile. kinkship offers various additional and enhanced functions that you can purchase. These add-ons are always linked to your profile. You may not publish any content depicting (nonconsensual) real violence or discriminatory, offensive, hateful, or illegal content via kinkship. You are responsible for the confidentiality and security of your password. You are not permitted to defame, stalk, bully, abuse, harass, threaten, imitate, or intimidate either people or companies, and you are also not permitted to publish private or confidential information through kinkship. You may not send emails, comments, or other communication containing commercial or nuisance content (spam) to others. You may not attempt to restrict other people's usage or enjoyment of kinkship. You commit to complying with all legislation, regulations, and policies of your country that are applicable for your usage of kinkship and your content. These include copyright laws. You are responsible for any activity taking place through your account. For this reason, you are forbidden from selling, transferring, licensing, or assigning your profile or any profile rights. kinkship prohibits the creation of an account for anyone other than yourself, except for people or companies explicitly entitled to create accounts in the names of their employees or customers, and you undertake to not do this. You are solely responsible for your behavior as well as all data, text, files, information, usernames, pictures, images, photographs, audio, video, links, and any other content or materials that you post on or through kinkship. Deletion of content uploaded by you. Temporary suspension of the upload function for you. We reserve the right to modify or cease the operation of kinkship or your access to kinkship for any reason, at any time, without notice, and with no liability toward you. We reserve the right to deny anyone's access to the portal for whatever reason and at any time. In addition, we reserve the right to demand modification of any username for any reason. We are permitted to remove, modify, block, and/or monitor content or profiles with content that we consider to be a breach of these terms and conditions of usage. We are however not required to do this. kinkship reserves the right to intervene in disputes between other members and yourself, though is not required to. You can deactivate or delete your kinkship profile by logging into kinkship and pressing the delete link. kinkship terminates your membership for a compelling reason. kinkship blocks your profile due to a violation of these terms and conditions. If we block your access to kinkship or if you use the aforementioned link to deactivate/delete your account, your photographs, comments, favorites, friends, and all other data will no longer be accessible via your account (for example, other members will not be able to navigate to your username or view your photographs). If your membership is canceled, all rights granted through these terms and conditions of usage will expire immediately. You assure us that you are the owner of the content that you post on or through the portal or that you are in some other way entitled to grant the rights and licenses defined in these terms and conditions of usage. You also assure us that, by posting and using your content on or through the portal, the rights of third parties will not be violated. These rights include privacy rights, DSGV, copyrights, trademark rights, and other intellectual property rights. Even though it is the intention of kinkship to make the portal available for as continual a period as possible, there may be times where service is interrupted, e.g., for planned maintenance or improvement work, for emergency repairs, or due to failure of network cables or devices. kinkship is not a data backup service, and you agree that you cannot rely on the service for the purposes of backing up or saving content. kinkship is not liable to you for any loss of content. kinkship does not guarantee that the portal runs free of errors or interruptions. The portal and the content provided through the portal are provided on an “as available” and “as is” basis. You recognize that you use the portal entirely at your own risk. In cases of minor breach of duty caused by negligence, kinkship’s liability will be limited to normal, direct damages that are foreseeable based on the nature of the translation and are typical of the contract. This also applies in cases of minor breach of duty through negligence on behalf of our legal representatives or agents. We do not assume liability toward entrepreneurs in cases of minor and insignificant contract violations stemming from negligence. kinkship is not liable for defects and damages caused by third parties. Where kinkship makes use of third parties to carry out work, kinkship only assumes liability for the careful selection thereof. These limitations of liability are also not applicable in cases of promised features, personal injury attributable to kinkship, and where the contracting person passes away. Recourse to us is not possible in order to assert claims for compensation. Based on current technology, it is not possible to ensure that data transmission over the Internet is always error-free and/or available at all times. Accordingly, kinkship does not assume liability for its portal being either constantly or continually available. Amendments or additions to these terms and conditions of usage must be made in writing. This also applies to any modification of the requirement to make changes in writing. 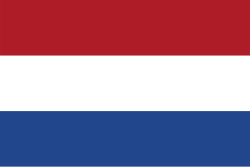 The applicable law is the law of the Netherlands. Mandatory regulations of the country in which the member is domiciled remain unaffected by this. The place of fulfillment is the registered office of kinkship (Confraternity Hosting B.V.). Where permissible, the place of jurisdiction for any arising legal disputes is agreed as the registered office of Confraternity Hosting B.V. Should individual provisions of this contract with the contracting person, including these terms and conditions, be or become partially or completely unenforceable, the validity of the remaining provisions will not be affected by this. The partially or completely unenforceable provision will be replaced by way of mutual agreement between the contract parties with a legally enforceable provision that comes closest in meeting the commercial nature and purpose of the unenforceable provision. This regulation will apply in corresponding measure where loopholes are found.